Hollywood Forever is a full-service funeral home, crematory, cemetery, and cultural events center in the heart of Hollywood. One of the world’s most visited landmarks, Hollywood Forever is the final resting place of hundreds of Hollywood’s founders and stars, along with thousands of neighborhood residents and individuals from throughout the globe. An integral part of the surrounding community, Hollywood Forever is a unique place to celebrate a life, whether honoring revered traditions or building new ones. Families can select everything from traditional burial to the simplest cremation. The park offers lawn spaces, cremation niches, and mausoleum crypts. The Beth Olam section — one of the oldest, active Jewish cemeteries in California — offers traditional Jewish burial. Whatever your tradition, faith, culture, or affiliation, we will work with you to create a thoughtful and meaningful ceremony. Our staff speaks many languages, including English, Spanish, Russian, Armenian, and Thai. Hollywood Forever is one of Los Angeles’s most dynamic cultural centers, welcoming families and visitors to concerts, plays, films, and more. 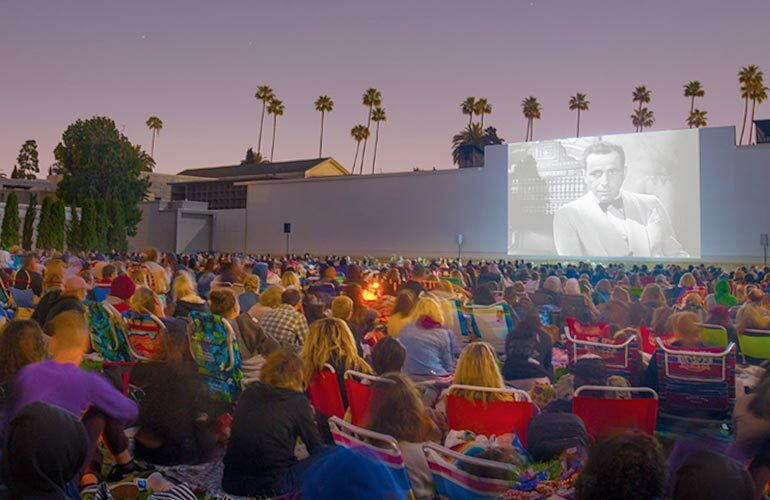 Since 2000, we have partnered with Cinespia to present screenings each summer on the Fairbanks Lawn. Thousands of people gather each Saturday to watch classic films and contemporary favorites. The cemetery’s Dia de Los Muertos celebration — a day-long festival featuring memorial altars, traditional dancers, art exhibits, crafts, and Latino recording artists — attracts over 30,000 visitors each year. Founded in 1899, the cemetery was an integral part of the growth of early Hollywood. Paramount Studios was built on the undeveloped south end of the original site, where the studio still operates. The cemetery of choice for most of Hollywood’s founders and luminaries, Hollywood Forever was listed on the National Register of Historic Sites in 1999. 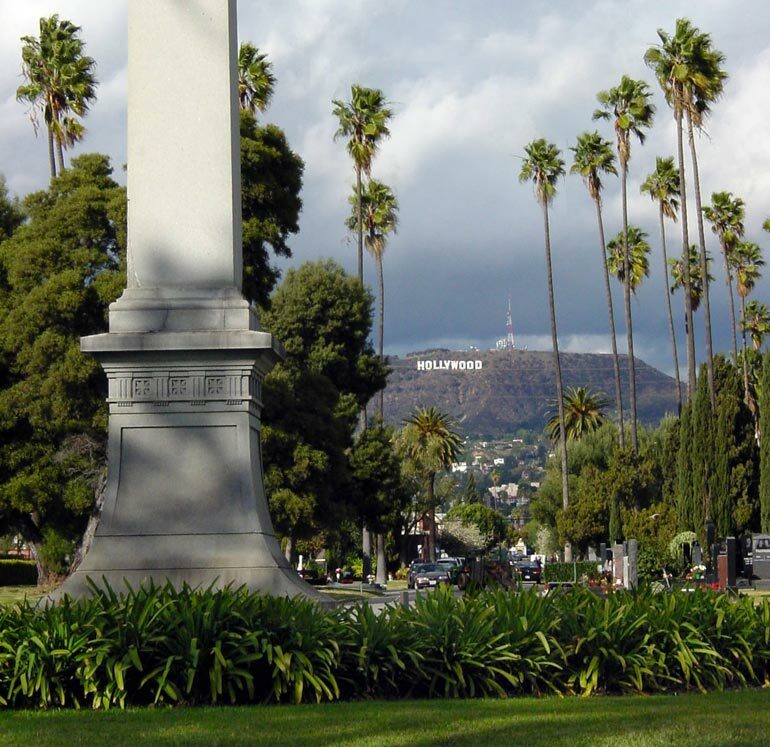 Today, visitors come to Hollywood Forever from all over the world to pay respects to many of the arts’ most cherished figures, like Judy Garland, Cecil B. DeMille, Rudolph Valentino, Mickey Rooney, Tyrone Power, Douglas Fairbanks, Johnny and Dee Dee Ramone, Chris Cornell, and hundreds of others. A detailed map and walking guide book are available in the park’s flower shop for those who wish to explore on their own. For those interested in guided tours offered by local historian Karie Bible, please visit the website cemeterytour.com for scheduling and details. To learn more about our funeral home, cemetery, crematory, and cultural events, please contact us.